You have added Ravishing Red Golden Lehenga Choli in Net With Sequins work to your Shopping Bag! 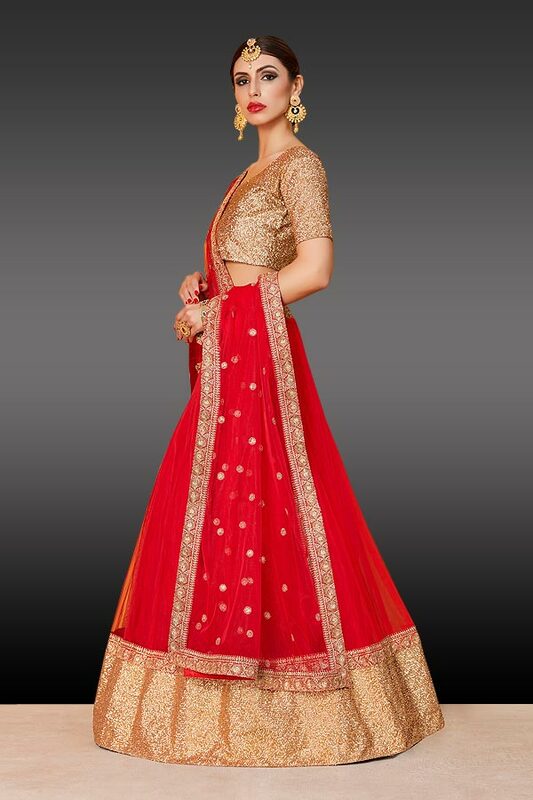 Perfect lehenga in red, the colour of passion to attend any wedding ceremony! 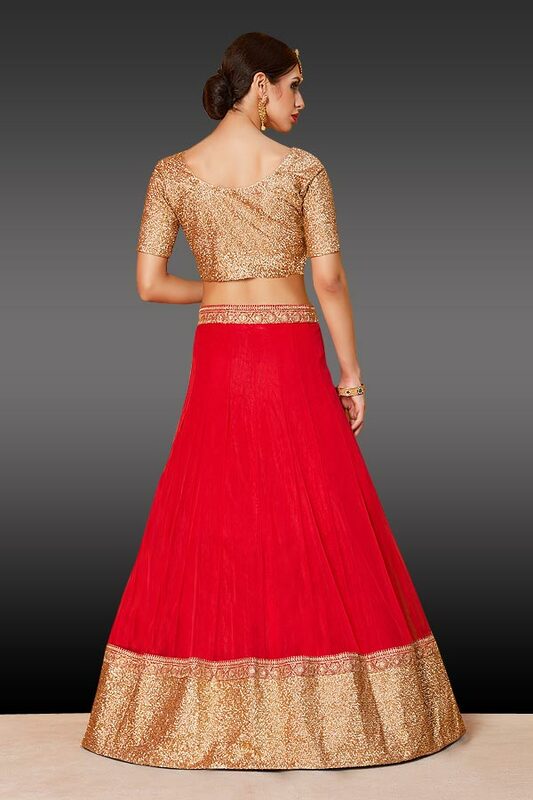 The red net lehenga features broad golden sequins work border at hem, along with a lace border at the waist and hem. The golden sequins work choli/blouse is the ideal match for the bright red lehenga. 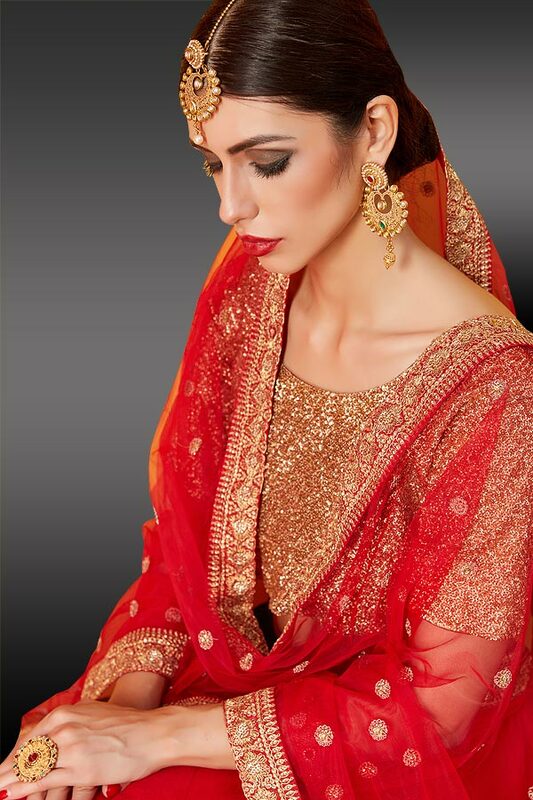 Red net dupatta with golden lace border and zari and sequins flower butis completes the look. Accessorise your look with maang tika, earrings and necklace and you are ready to attend any special occasion.